ICS is a file type online commonly used for calendar data. 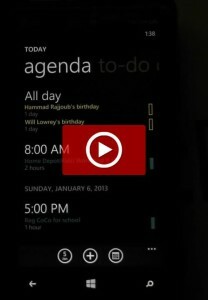 Windows Phone 8 doesn’t have support for ICS built in, but it does allow applications to handle that file for you, and given access to your calendar, can quickly add items to your calendar. 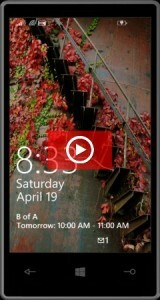 This video uses a nice application from Quincy Mitchell named Add to Calendar. Maybe someday, the OS will have this baked in, but for now, we’re happy that the extensions can be handled by 3rd party applications. 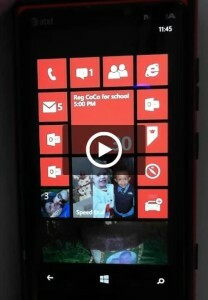 Live Tiles. You love them right? 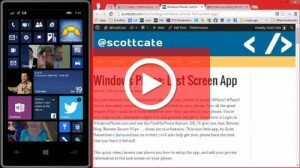 Do you know what the live tile updates for email actually mean? It’s not the number of unread messages, it’s the number of new messages since the last time you opened your email on your phone. This is a quick video, showing you the difference.